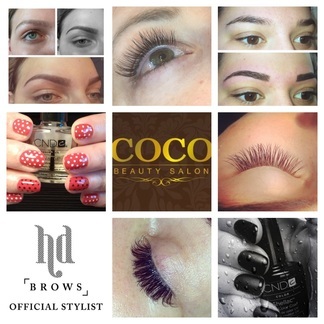 Based in the heart of Springfield just outside of Chelmsford, CoCo Beauty Salon is a hidden gem with an excellent local reputation. CoCo Beauty Salon is personal, calm and relaxing. All our treatments are performed by, highly qualified beauty therapists and technicians. The Salon has been established since 2003 and since then have excelled in our attention to detail and thorough treatment and product knowledge, to ensure our customers get the best and return time and time again. CoCo Beauty Salon offers a huge range of professional beauty treatments, from nail extensions by the leaders in nail technology Creative Nail Design, Shellac, HD Brows, Eyelash Extensions, specialist face and body treatments using ‘Monu’ Professional Skin Care Products and many more. We are also specialists in intimate waxing and only use hot wax (non strip) for our Brazilian and Hollywood Waxing. Make a perfect gift for a friend or loved one, you can buy a specific treatment or purchase an amount and let them choose from the wide range of treatments available.